When last we talking about preparing for the 2014 season, I had just planted bok choy, peppers and tomatoes in the little greenhouse I have in my dinning room. That was about 2 weeks back. The tomatoes have all emerged and are about 2 1/2 inches high and looking good. I have a tray of Yellow Mama..which grow to be large bright yellow fruit. The big beefs are your classic large red tomatoes. The San Marzano tomatoes, (which are great for sauces) can be troublesome and of this writing they are not doing as well. Only a couple are up. They need the heat and I guess my greenhouse wasn’t quite hot enough. A trick for getting slow tomato and pepper seeds to sprout is to sit them on top of your oil burner or basement heating unit. It gets just warm enough to spur them on…but be careful. They dry out very quickly so you need to give them a good watering every day until they pop. This week I planted so of the first crops of the year out in the garden. I put in broccoli rabe, ruby red lettuce, escarole and romaine lettuce. These were young plants I got at the local nursery I prefer. If you are in the Huntington area you might like to try them. FORT HILL NURSERY at 186 East Main Street. 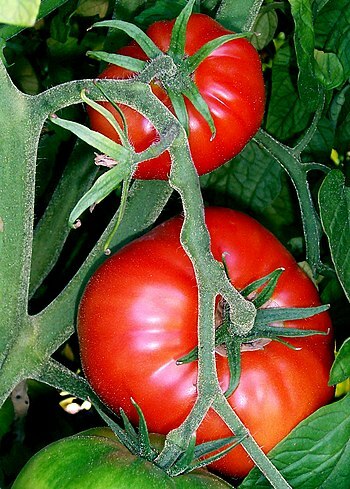 They have a great variety of young vegetables and they are full of great tips and advice. I also started a small bed of tatsoi seeds given to me by a neighbor. Tatsoi is a delicious asian vegetable…sort of a cross between bok choy and spinach…a tasty cruchy and unique vegetable that is not seen often. While I was at the farm plot I noticed that this brutal winter we had caused a lot of damage to my blueberry enclosure so up on the ladder I went to try and fix it. I did a reasonable job but I’ll need another set of hands to really do it right. The weather forecast is calling for rain tonite and early tomorrow so that will be a welcome occurrence for my newly planted crops. The temps for the week are hovering in the mid 50’s by day and in the 40’s at night gradually warming up to the 60’s. Things are starting to move along. Next week I’ll be putting in red and yellow onions, redskin potatoes and beets. We’ll chat after that next phase is complete. This entry was posted in Gardening, Growing Vegetables and tagged Chinese cabbage, Gardens, Rapini, Romaine lettuce, San Marzano Tomato, Tatsoi, Tomato, Yellow onion. Bookmark the permalink. I moved them to the heat and still don’t see any activity except for one that is about 3-4 inches now. The blueberry enclosure keeps out the catbirds which would eat ALL the berries left unguarded. I’m sure the dog did the trick. Today I planted 150 onions. Tomorrow morning potatoes and this weekend beets. Sounds like you’ve got quite the frittata in the works! 🙂 Do you grow garlic and herbs? There’s nothing quite like cooking with fresh herbs, which I’ve grown both here and in FL. It’s almost impossible to grow things other than herbs in South Florida because the soil is so loamy. Actually, it’s more sandy than anything else. (Zone 10, it’s a tough one.) Anyway, I wish you continued good luck, especially with the San Marzanos. hahaha always. Garlic, oregano, sage, rosemary, basil…too friggin hot too down there…you need constant watering. We’ll see…today I planted red potatoes and I put a new tray of San Marzano seeds together. Hopefully that will come up this week.